Become a 2019 Conference Exhibitor! 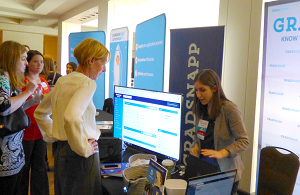 As a 2019 NSPA Conference Exhibitor, you’ll build invaluable relationships and show your support as an industry leader and advocate of the critical role that scholarship providers play in college funding, access, and success. 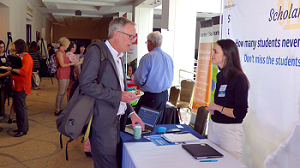 Exhibitors have the opportunity to promote vendor services to attendees who are constantly searching for tools and resources like yours, to enhance their programs. Over half of the attendees are senior-level professionals. For a list of organizations including professional titles of individuals who attended the 2018 NSPA Conference, click here. Ready to Make a Purchase? Register as an Exhibitor Here! Interested in Being a Sponsor? Visit Our Sponsors Page. Interested in Other Advertising Opportunities? Visit Our Online Store.